The woodpecker says wake. wake. It sounds like a distress call. It is impossible to sleep through. I peek through the wooden blinds and the bird is looking at the house, at the window, at me. I roll out of bed and go carry the suet feeders, tube feeders and bell feeder, which are stored inside overnight because of raccoon banditry, back out to the porch. The piercing one-note call stops. Now the chorus of ordinary morning birdsong carries no special message for Bird Food Lady. 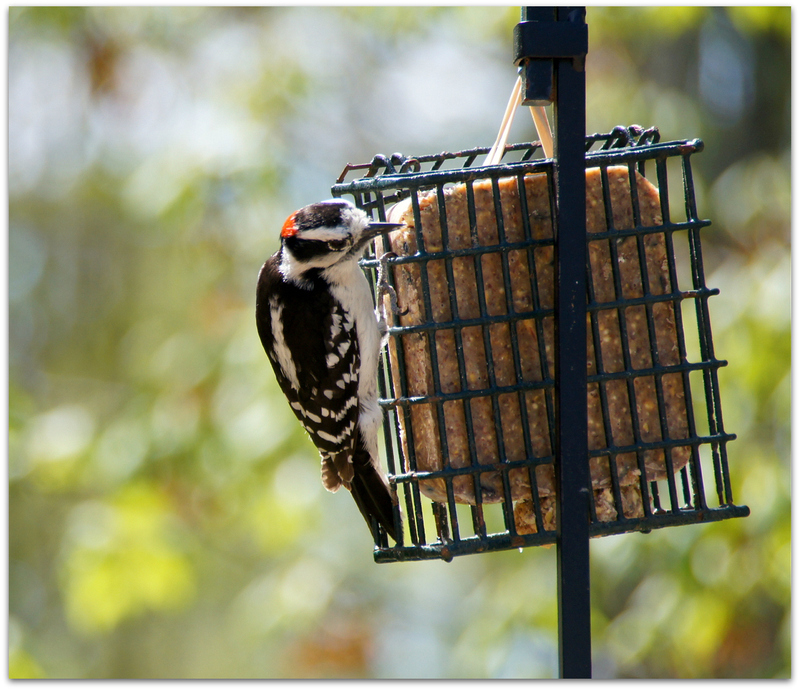 Our most popular and successful back porch suet cake here at Amy’s Early Bird Diner: Feathered Friend High Energy Suet from our local Agway. 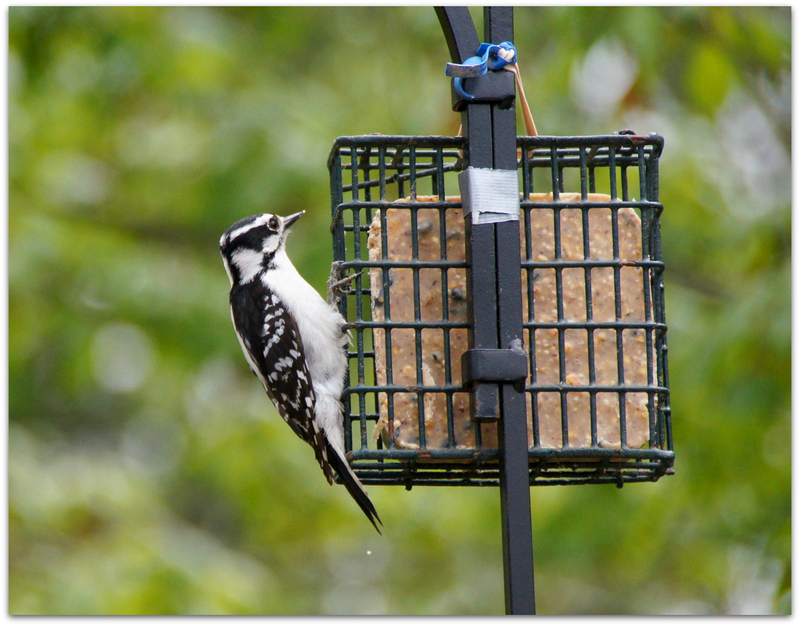 This entry was posted in Uncategorized and tagged backyard birds, bird feeders, birds, downy woodpecker, suet, woodpeckers on May 29, 2014 by Amy.